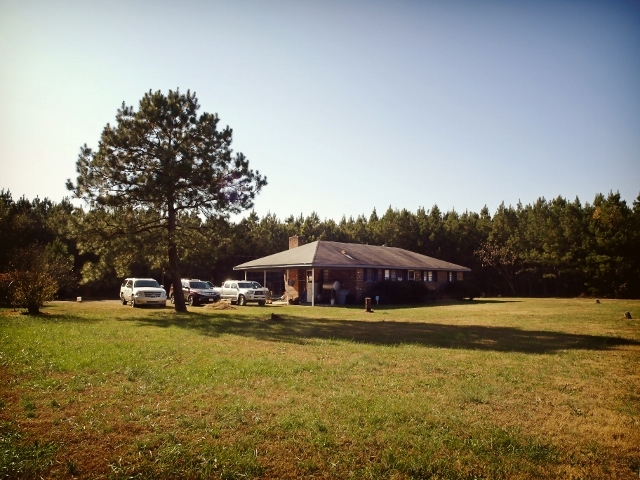 Lily Pond Creek Hunting Lodge has a long history. 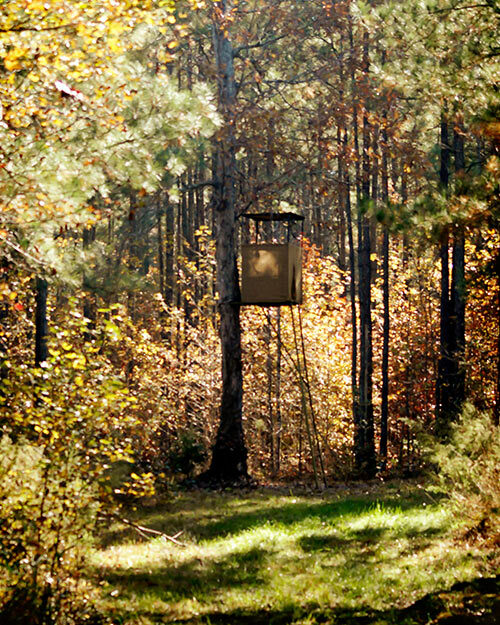 Started by Dock Boone the owner, over 25 years ago it has developed into the premier outfitter of eastern North Carolina. Dock is a graduate of NC State with a degree in crop sciences and his family owned one of the largest seed and fertilizer supply companies in the area. This background helped develop a partnership with the local farmers and enabled Dock to secure access and develop a strong bond with the land to create a special place where farming, hunting and nature all coexist perfectly. From humble beginnings to over 15,000 acres of managed land and 4 lodges we must be doing something right! Come see for yourself and start your tradition with us this season. We offer accommodations in a variety of ways. With four lodges to choose from we have something for everyone. 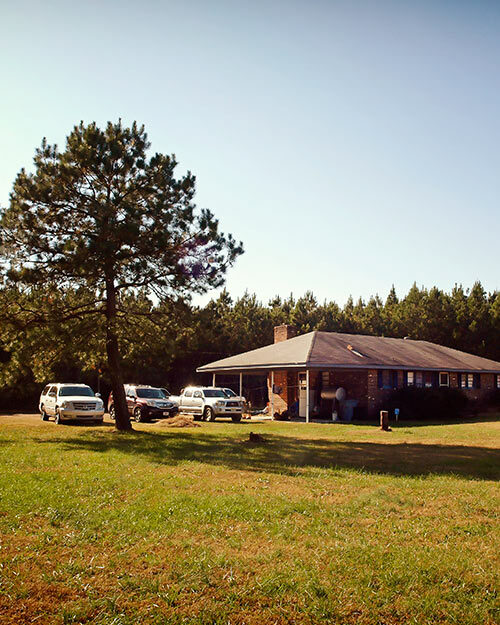 The original Lily Pond Creek Lodge is a converted plantation house that has been in Dock Boone’s family for over 100 years and is our main headquarters. 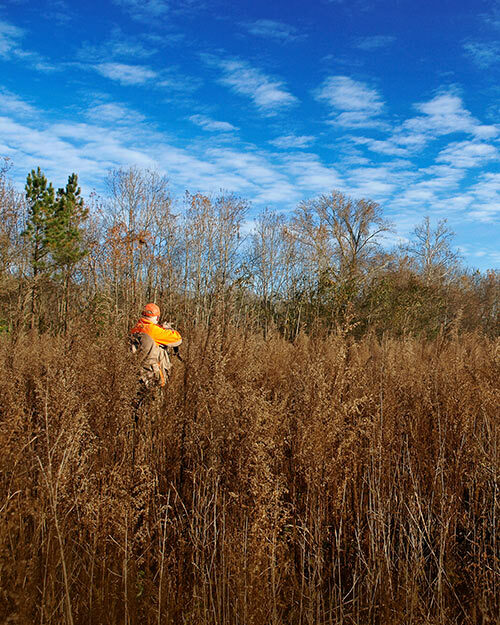 Where you stay can depend on the hunt package that you choose. Aside from our lodge at Bridgers Creek where you provide your own meals with a guide provided, all other locations are full service lodges with all meals and guides provided. 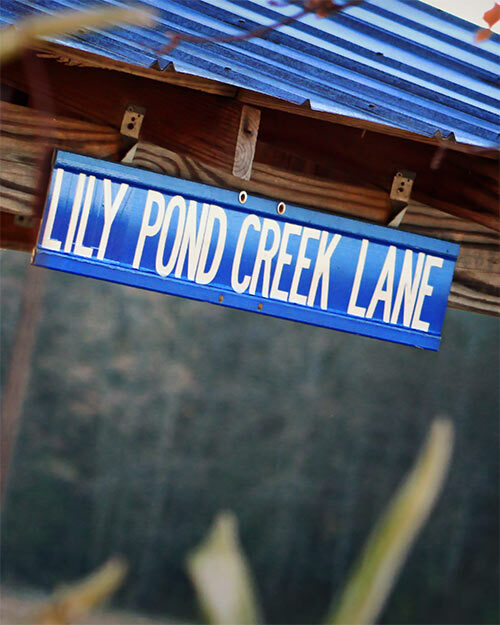 Our meals here at Lily Pond consist of country cooking made in the true southern culture. First thing in the morning we have coffee and doughnuts. On the return of the morning hunt, you come back to a breakfast fit for a king. This breakfast also includes homemade biscuits. If you leave our table hungry it will be your fault because there is always plenty of food and if we don’t have it just ask and we will fix it for you. Dinner will be served after we return from the evening hunt and once again you will not go hungry. You are welcome to bring any special food items for yourself and there is a large refrigerator for your drinks. Our guides have extensive animal knowledge, woodsmanship, and experience. Their decisions should be respected. They are constantly scouting daily to give you the best opportunity to harvest your trophy. They will provide field transportation to and from your stand and care for your trophy when it is down. Professionally performed skinning and capping of your deer is provided. For those who prefer to do it themselves, equipment and help is available. Northampton county is 504 square miles and was formed in 1741, Among the earliest in the state to be settled. The county received it’s name from George, Earl of Northhampton. He was a British nobleman and the brother of the Earl of Wilmington. By 1786, the population had increased to 8,220. Northampton is the largest peanut production county in the nation. In earlier years main crops were also cotton, soybeans, alfalfa, potatoes and watermelons. 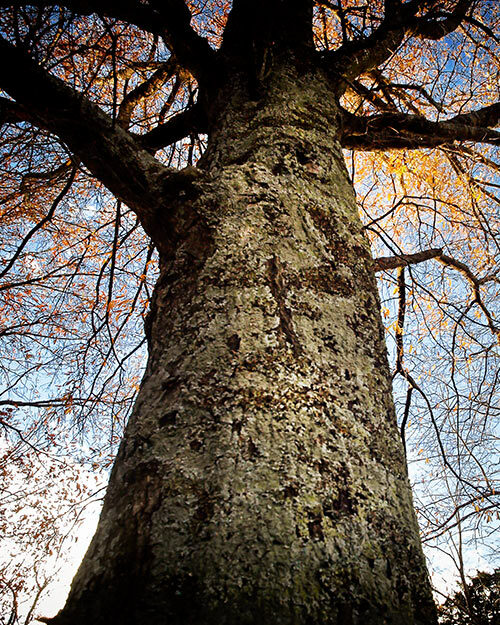 During the depression era, timber sales sustained most local farmers. While today the predominant crops are soybean and cotton, the Roanoke river continues to provide rich nutrients to the soils and has one of the largest spawning migration of striped bass each spring.